In Ojibwe country, the fur trade was based on indigenous ideas of reciprocity and kinship. Gift-giving lay at the heart of it all. Ojibwe people had a strong belief in the principle of reciprocity that applied to different kinds of beings. When they hunted, fished, or gathered plants, Ojibwe people reciprocated with the natural world by giving something back. For smaller items, people often left a gift of tobacco. In other cases, such as the killing of a bear, they held an elaborate ceremony of thanks and gave presents. This created a culture of generosity among the Ojibwe. For example, rather than store up food for personal use, Ojibwe families would give it to others. Gift-giving created bonds between families and helped turn strangers or enemies into kin or allies. This belief in reciprocity resulted in large-scale gift-giving within the fur trade. The Ojibwe and the traders practiced a lot of ritual gift-giving during the fur trade season as a way to foster good relations and maintain business ties. The traders picked up the symbolic meaning of gift giving from the Ojibwe. They exchanged gifts in the fall, and traders gave trade goods on credit to Ojibwe clients. In the springtime, traders collected furs and skins as a general settlement for the credit. The Ojibwe liked to show their trustworthiness after being extended credit because they took reciprocal material relationships seriously. Kinship was at the center of the exchange process. Family relationships within and between Native communities determined one’s trading partners. 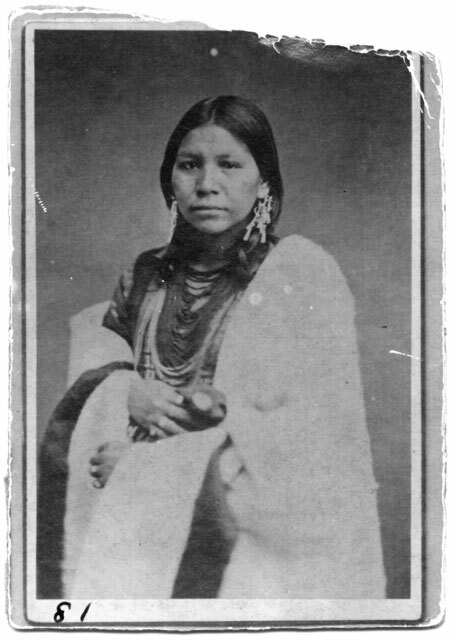 One common way that traders established themselves as kin was through marrying Native women. Then the wife’s kin network became the trader’s customers. For many traders, marriage to Native women took place in “the manner of the country” and these alliances and friendships were initially confirmed through generosity and gift-giving. Exchange was framed by indigenous social interactions rather than the desire for profit. White, Bruce M. “A Skilled Game of Exchange: Ojibway Fur Trade Protocol.” Minnesota History 50, no. 6 (Summer 1987): 229-240. “The Woman Who Married a Beaver: Trade Patterns and Gender Roles in the Ojibwa Fur Trade.” Ethnohistory 46, no. 1 (Winter 1999): 109-147. A Métis and his two wives, Peter Rindisbacher, ca. 1825-1826. 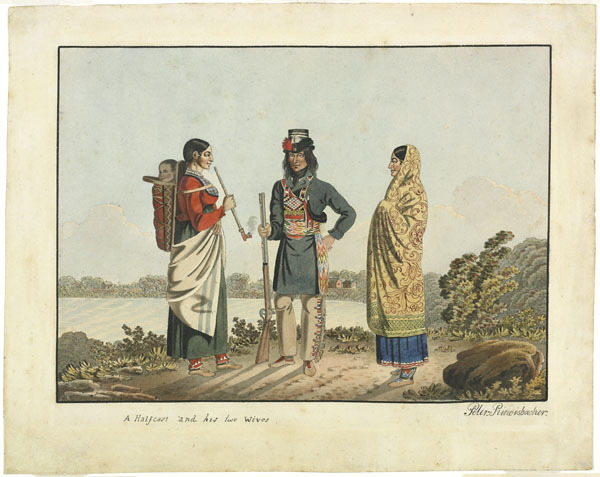 A Métis and his two wives, Peter Rindisbacher, ca. 1825-1826.Source: Library and Archives Canada. The Red Lake Chief making a Speech to the Governor of Red River at Fort Douglas, Peter Rindisbacher, 1825. 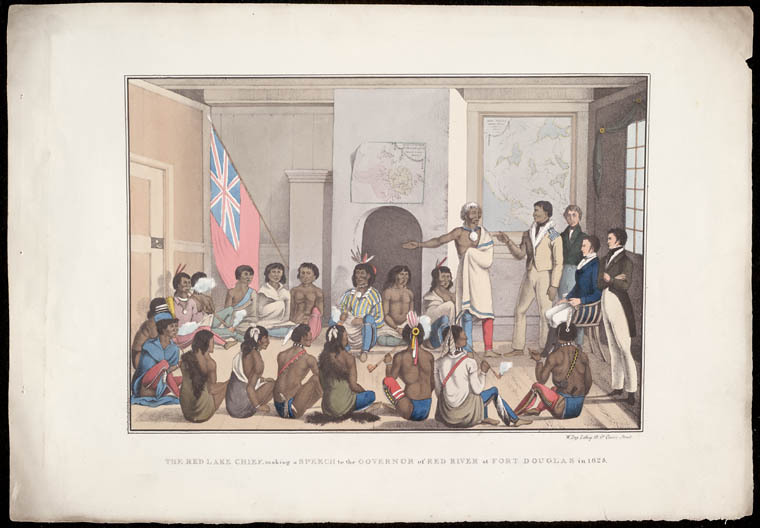 The Red Lake Chief making a Speech to the Governor of Red River at Fort Douglas, Peter Rindisbacher, 1825.Source: Library and Archives Canada.